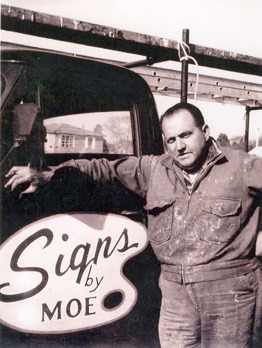 Ever since Signs by MOE opened for business in 1958 we have been dedicated to providing quality signage to our customers at a reasonable price. 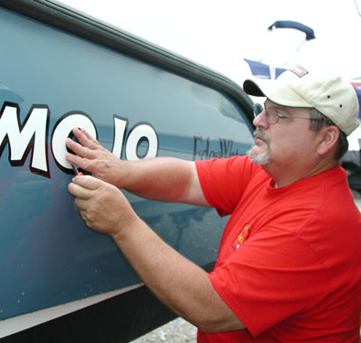 We specialize in custom vehicle and boat lettering as well as hand crafted wood and composite signs. 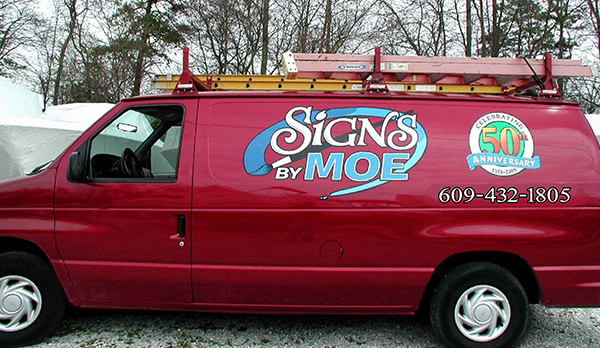 Our products also include, but are not limited to, glass lettering, office building (interior or exterior) identification sign, monument signs, interior/exterior graphics, logos, architectural wayfinding systems, job site signs, construction signs and much more. Just ask! Regardless of the type of sign or size of the project, our goal is always customer satisfaction that far exceeds their expectations. Our company's success depends on your satisfaction. Please check out our Showroom and Contact us for any information regarding our services.